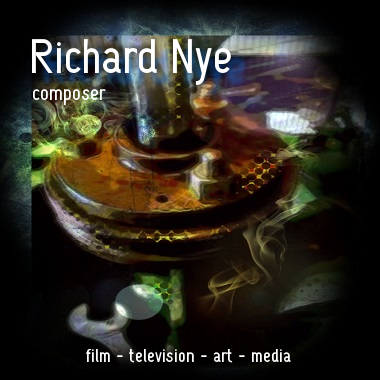 UK artist Richard Nye's music has been performed, recorded, and published all over the world while holding a degree in Music and a Fellowship Diploma from London College of Music in composition. His 2001 London South Bank debut featured his CD Piano40, 8 'til Late, for eight hands on two pianos, and was featured in the National UK press. Richard's creatives have included orchestral and choral works for the millennium, a major new work for the Cheltenham Bach Choir, music for two large stage plays, and scores to accompany animations and award-winning media projects.